Caleb Mac Donnchadha 1 week, 1 day ago. The good news is that LineageOS 16 for Galaxy S8 is now available to download and install. This build of LineageOS 16 for Galaxy S8 is brought to you by developer Stricted. 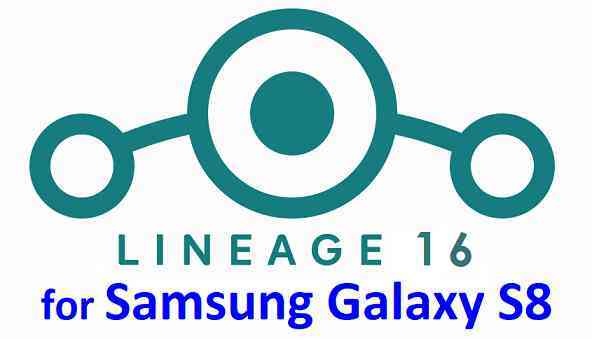 Searching where to download LineageOS 16 for Galaxy S8? Wondering how to install LineageOS 16 on Galaxy S8? If you have one of the question for your Galaxy S8, then you are at the right place and here is where to download and how to install LineageOS 16 on Galaxy S8, with a step-by-step guide. THIS IS AN INITIAL BUILD OF Galaxy S8 LineageOS 16 WHICH MAY NOT BOOT AT ALL OR EVEN IF IT BOOTS, IT MAY HAVE MANY BUGS. MAKE SURE TO BACKUP THE CURRENT ROM AND ALL DATA OF YOUR PHONE BEFORE INSTALLING. Installing a TWRP recovery on Galaxy S8 may delete all your data. Before proceeding further you may consider backup all data on the phone. Download and Copy the LineageOS 16 Gapps and the Galaxy S8 LineageOS 16 ROM ZIP file to your phone. Boot into the TWRP custom Recovery to install this LineageOS 16 for Galaxy S8. Install the Galaxy S8 LineageOS 16 ROM file that you have copied into the phone. Reboot and Enjoy the Galaxy S8 LineageOS 16 Android 9 Pie ROM. – Make sure you have a latest custom Recovery that should be able to install the LineageOS 16 update. Install the LineageOS 16 on Galaxy S8. Reboot and see you have the GApps and ROOT access or NOT.- Gapps is built in such a way that it will sustain across ROM updates. If you don’t have GApps after upgrading the LineageOS 16 on Galaxy S8, then install the GApps. If you don’t have ROOT after upgrading the LineageOS 16 on Galaxy S8, then install the SuperSU or Magisk or the Lineage SU binary. Once everything is done, reboot and Enjoy the LineageOS 16 for Galaxy S8. Complete the initial setup and enjoy Android 9 Pie with LineageOS 16 on Galaxy S8. Stay tuned or Subscribe to the Galaxy S8 (dreamlte) LineageOS forum For other Android Pie, Android Oreo ROMs, Nougat ROMs, or other ROMs and all other device specific topics. No, this is only for the Global Exynos S8 variant. I have issues with the browser crashing when posting a message. And the in call volume being too low even on max to hear the caller. Speaker seems to not work. Plus bluetooth it sporadic. There is a latest build came out. Can you install this and confirm if the issues persist?? Just downloaded and installed again. Same issue. But then realised its still the 6 April version. That’s the one o tried last time. I love the software but can’t hear calls. And the speaker doesn’t work. Did a reset. Speaker works and volume slightly higher. But noticed vol controls don’t work. Maybe this is why its low,?